After three home games we are back on the road this weekend as he head to Glasgow to face Partick Thistle. It's been a few seasons since the two sides last played each other in the league. Our last league visit to Firhill was back in December 2011 in the old Irn Bru Division One, when Kris Dollan scored the only goal of the game in Thistle's one - nil win. Although we haven't played each other in the league since 2011/12, we have gone head to head in the three national cup competitions since then. The most memorable being our Challenge Cup Final victory at Livingston in April 2013. More recently, the two sides played each other in the group stages of the Betfred League Cup in 2016/17, again at Firhill when Dale Hilson gave us the lead before late goals from Chris Erskine and Steven Lawless earned them a win. With our last meeting coming at Palmerston in January last year, when Connor Sammon scored either side of Ross Fergusson to take Thistle through in the Scottish Cup. Although Thistle haven't won away from home this season in the Championship, they have won both their home games giving them their six points from five games. While, Queens are unbeaten on the road in the league this season with a win and a draw so far. Queens boss Gary Naysmith has been reflecting on last week's game against Ross County and looking ahead to Saturday's game. "Although the game finished goal-less last week, I enjoyed the game. It was two teams going for a win and a decent game of football. Although there weren't many chances in the game for either side, I feel that we probably edged it with the chance for Lyndon and Stephen's that hit the crossbar. But overall a draw was probably a fair result. What did really please me last week was the defensive side of our game. We were up against a strong Ross County side and I thought everyone played their part as we defended as a team. The strikers have had the praise in recent weeks but it was our third clean sheet in a row in the Championship and Alan and the back four deserve plaudits for that as it's not an easy thing to do in such a competitive league. This week we are up against another strong side in Partick Thistle, the other team relegated from the Premiership who will have ambitions of bouncing straight back up. But we can go to Firhill with confidence. I think we have set down a marker of our own so far this season and its a very happy and positive squad we have at the moment. Thistle will hold the advantage being at home but the big grass surface will suit our style of play. We have loaned young Declan Tremble to Abbey Vale until January, I just feel at this stage he will benefit from playing games and hopefully when he returns at the turn of the year he will be ready to push on. Callum Fordyce and Darren Brownlie are continuing with their rehab. Callum is back running and should be back soon but won't be ready for this weekend. Everyone else is fit and available for selection". 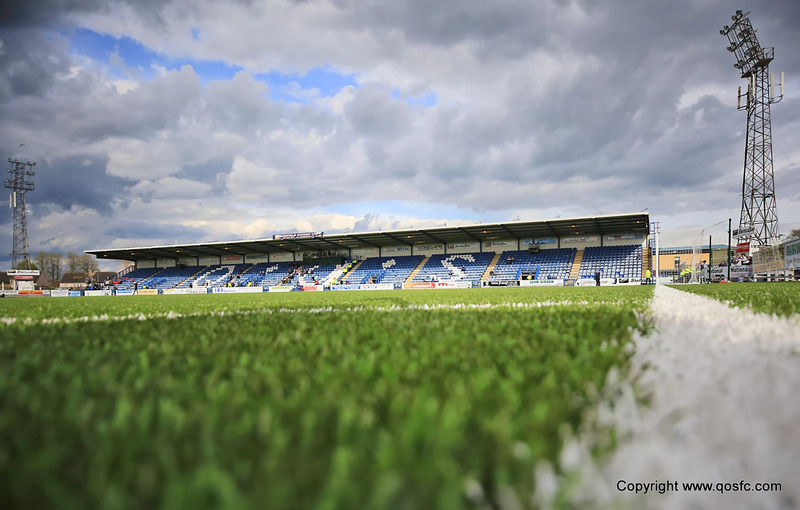 Queens fans will be seated in the Colin Weir Stand. Fans should note that it is cash only when buying tickets. Kick off at the Energy Check Stadium at Firhill is 3pm Saturday.